The Stutterheim diary is a remarkable, vivid account of the suffering of European teenage boys during the Japanese Occupation of Java. 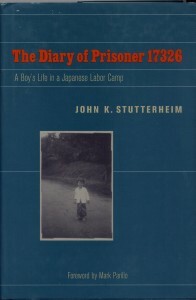 The Diary of Prisoner 17326 by John K. Stutterheim, Fordham University Press , New York, 2010. John Stutterheim was born in 1928 , and therefore was fourteen years old when he and his mother and younger brother were ordered out of their home in Malang, Eastern Java, by the invading Japanese army. Thus began their internment, taking them to Surabaja, and Solo. Eventually John was ordered to leave his mother and go to a boy’s camp, where he had the presence of mind, and tenacity to maintain a diary, complete with sketches. 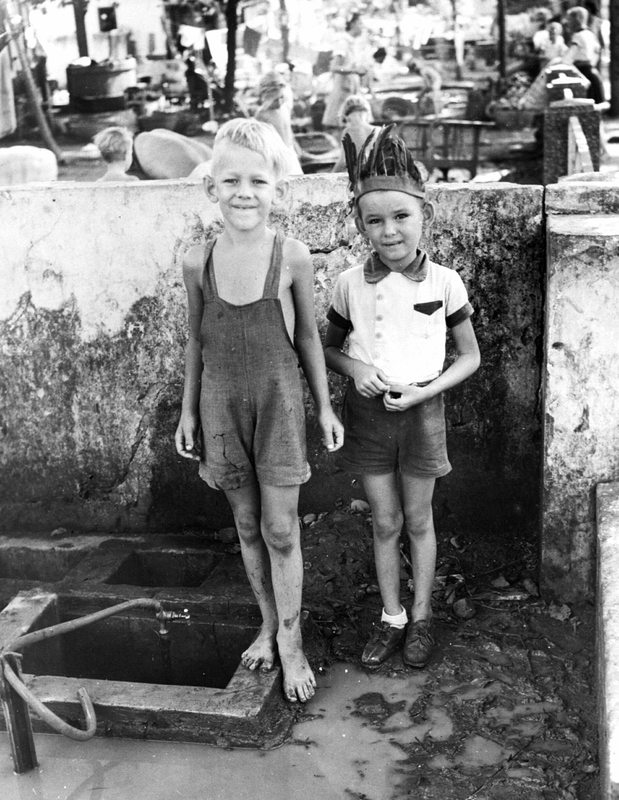 This book therefore gives a rare, detailed glimpse of the horrors experienced by boys in those camps and moreover provides information about internment in eastern and central Java. This book is a good read . I avoided the fate that befell John, but after about 1944 I became conscious of the future that awaited me upon turning ten years old. Unbeknownst to me my mother had lied about my age, because according to the Tjihapit camp register, undoubtedly using information provided my my mother, I was born in 1939. She managed to retain throughout the internment period my South African birth certificate which stated otherwise. She had run a risk. During our time in that camp the emotional departure of boys who had turned ten years old became more and more frequent. For years after the war I suffered nightmares about the fate that never overtook me. We all experienced difficulties integrating , or in John’s case re-integrating into school life after the war. I began my formal education at age eight, in kindergarten to begin with, to learn English. John’s education was interrupted half way through Grade eight, and when he entered high school for the first time he was nineteen, joining a class of thirteen-year-olds. He became a medical doctor. All of us camp children emerged from the war scarred, some more than others. John writes “Anyone who experiences as a teenager the things described in this book will have a mental scar for life”. Over the years I have come to know several people who can attest to that statement, and it is only now looking back over the vast majority of my lifetime that I can begin to fathom how the war influenced my path through life. We all experienced post traumatic stress , but that was as yet an unrecognized condition. You sank or swam entirely dependent on a combination of luck and your own resources. In his epilogue, John dwells on the above and some of other wider issues related to war crimes. The medical experiments carried out by unit 731, the brainchild of Dr. Shiro Ishii evokes his understandable rage. 2 Responses to "Stutterheim Diary"
This is a collection of twenty-six eye witness accounts of the Internment experience collected by Sherri G.Tromp, (editor and contributor) from camp survivors living maily in British Columbia. The collection contains a number of noteworthy contributions among whom Elly Campioni, Emelia Visser and Bart van Nooten struck me in particular. A noteworthy feature of this collection is the breadth of accounts, from various camps on Java ,and other islands and from slave labourers in Japan. The Invasion of the Dutch East Indies, Compiled by the War History Office of the National Defense College of Japan (1967), Edited and translated by Willem Remmelink, Leiden University Press,(2015). 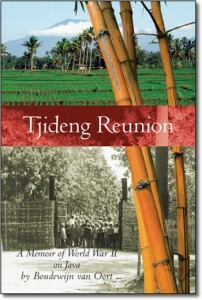 This book provides an extremely detailed account of the planning and operations that culminated in the invasion of Java and capitulation by the Allied forces on that Island. What emerges is an account of a nation that had allowed itself to be ensnared by its own actions into a situation, where the only alternatives were the politically risky cessation of a war for the conquest of China that it could not win or a desperate military lunge for the raw materials that were essential to continue its military adventures. The Netherlands East Indies, reduced to a colony without an imperial power to protect it, and rich in oil, rubber etc, was the prize. Although the authors do not explicitly state this, it is abundantly clear that Japanâ€™s gamble of Dec 8 1941 was hopelessly under resourced, in spite of the quality of its military equipment and the drive of its foot soldiers.